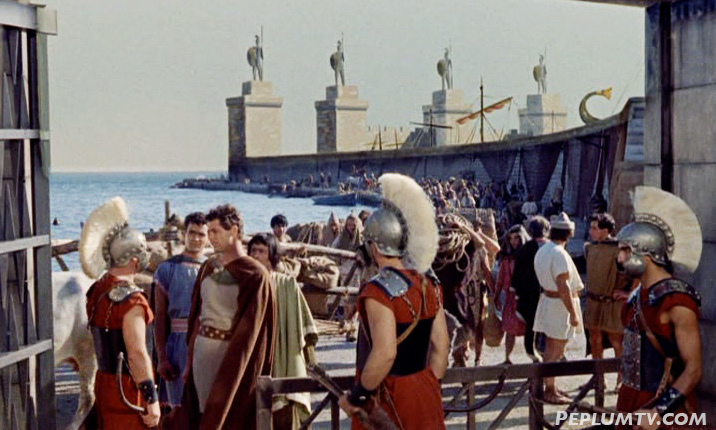 Excellent matte painting combined with location filming in Terracina, Italy. I like these scenes. They're subtle, not showy and yet they give a much needed sense of location to a story.